Pueblo Partisans is offering bilingual (Q’eqchi’�and Spanish), and culturally appropriate, education in Tanhoc�(map PDF).�This represents the first time that adult education has been offered,�on a significant scale, to adults in the community. Nearly 40 members of the community are engaged in primary education course work.�These students are adult learners, who would otherwise not have an opportunity to study. 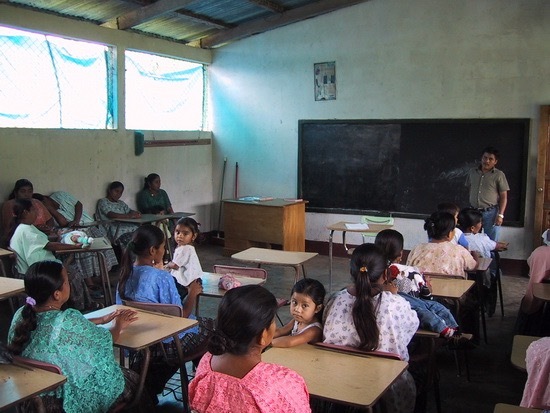 Primary bilingual (Spanish-Q’eqchi’) adult education is provided by the Comit� Nacional de Alfabetizaci�n (Conalfa), part of the Guatemalan Ministry of Education. 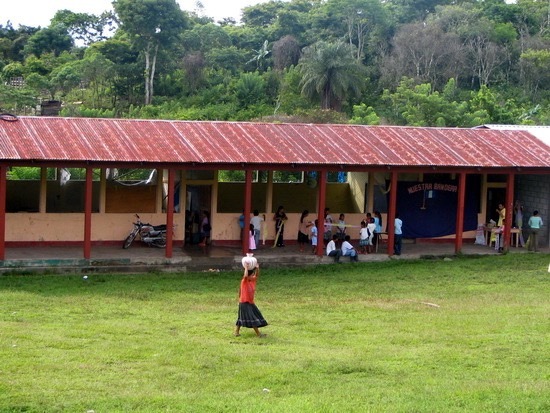 Middle-school education is provided by�El Instituto Guatemalteco de Educaci�n Radiof�nica (IGER), a Guatemalan NGO sanctioned by the Ministry of Education. A class in the Tanhoc school. 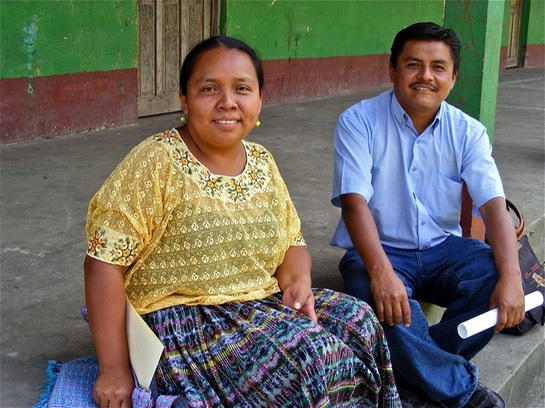 Two Q'eqchi'�teachers are engaged in the Tanhoc school: Francisco Cuz and Eva Pop Caal.�This is the first time, in over 10 years, that classes at this level have been offered in the community. Tanhoc teachers Eva Pop Caal and Francisco Cuz. 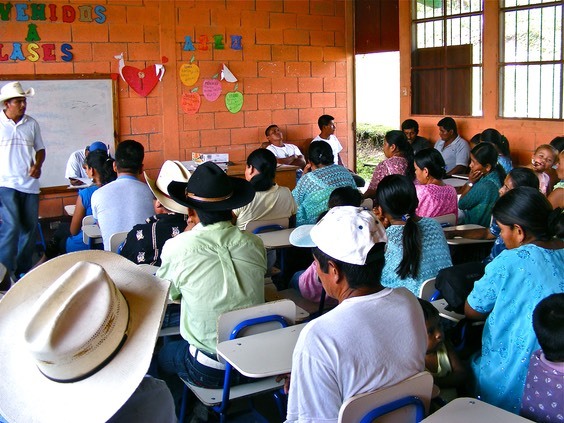 These classes are included in Pueblo Partisans’ broader strategy in Tanhoc, which aims to prepare members of the community with skills that will allow them to participate more equitably in wider Guatemalan society.�Other aspects of the strategy include providing workshops on livestock management, and offering basic business education courses. Francisco Cuz teaching a class to Tanhoc community members. Scholarships have been issued to support students.